RONAN – United States Senator Jon Tester (D-Montana), stopped in Ronan to share his views on issues from healthcare to water rights on Wednesday, May 31. Tester said President Trump’s first proposed budget cuts a lot of federally funded programs, which if approved will negatively impact everyone. Tester expressed concern regarding the budget’s impact on farmers. He said it cuts money from crop insurance, which is a bad idea. “It’s not as perfect as it could be, but it works pretty damn good,” he said of the crop insurance program. With his farm bill, Tester isn’t asking for anything new, but he doesn’t want any funding or programs for farmers to be cut. “I’m not asking for anything additional, just keep what we have,” he said. 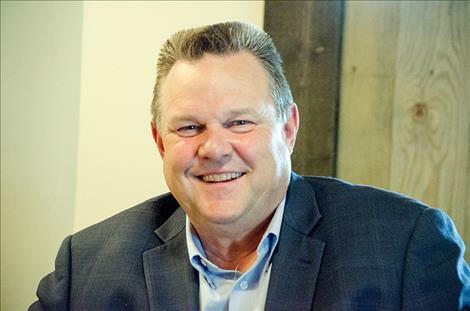 Since the fall of 2016, Tester has traveled around the state to discuss healthcare issues. He said he’s pinpointed several ways to address some healthcare concerns. The first fix would be to get healthcare administrators, doctors, nurses, and the public together to determine what would work best for them. Earlier this year, he used a similar tactic to have people identify the problems they have with healthcare. People in the healthcare industry told Tester that hospital charity-care for uninsured people will increase if the Affordable Care Act is repealed, and some of hospitals may even have to close because they can’t afford costs. Tester also heard from people who are struggling with increased insurance rates due to the ACA. He believes the best solution is to keep and fix what doesn’t work about the ACA. However, a recent bill called the American Health Care Act that has passed in the House seeks to repeal the ACA altogether. Tester noted that according to a bipartisan report from the Congressional Budget Office, the repeal would throw 23 million people in the United States off their insurance plans and the AHCA would have “negative impacts” on a lot of people. According to Tester, the new bill only budgets $8 billion to reduce premiums for people with preexisting conditions so that they can afford coverage, but the figure should be closer to $35 billion. Another area of concern is that the AHCA doesn’t create caps on the amount of money insurance companies can charge the elderly. He noted that the AHCA still has to go through the Senate. Tester proposes that insurance companies and pharmaceutical companies be required to be more transparent to make sure that they are charging fair prices. Regarding Montana’s Water Compact with the Confederated Salish and Kootenai Tribes, Tester introduced the compact to the U.S. Senate in May 2016, but it still hasn’t moved. Tester said he is waiting for bipartisan support from U.S. Sen. Steve Daines, (R-Montana), or U.S. House Congressman Greg Gianforte (R-Montana). He said the Interior Department, the tribe and the state are still negotiating funding attached to the bill for infrastructure and maintenance. “While negotiations go on, in the mean time, we need to get our Congressional delegation on board,” he said. Tester continued traveling around the state. He went to Big Sandy and announced that $325,000 in resources will be used to enhance Veterans Treatment Courts for service members struggling with addiction. He is sponsoring a bipartisan bill to protect Native American families and increase resources for tribal law enforcement officers during the search for missing children. Tester also announced on Thursday, June 1, that nearly $9 million will be used to strengthen 20 of the state’s airports including $191,158 to the Ronan airport to install new weather reporting equipment, and $242,567 to the Polson airport to reconstruct the aircraft maintenance area. The funding was awarded through the Federal Aviation Administration’s Airport Improvement Program, which provides grants to airports across the country.